This 730 pound giant bluefin tuna was caught by David Appolonia, South Kingstown, RI (right) on his 26’ Regulator center console boat. Seasoned tuna fisherman Bill Catauro (center) of Narragansett, RI harpooned the fish. Mario Fernandes of Exeter, RI (left) was the final crew member that landed this 115 inch long giant that towed the boat six miles. 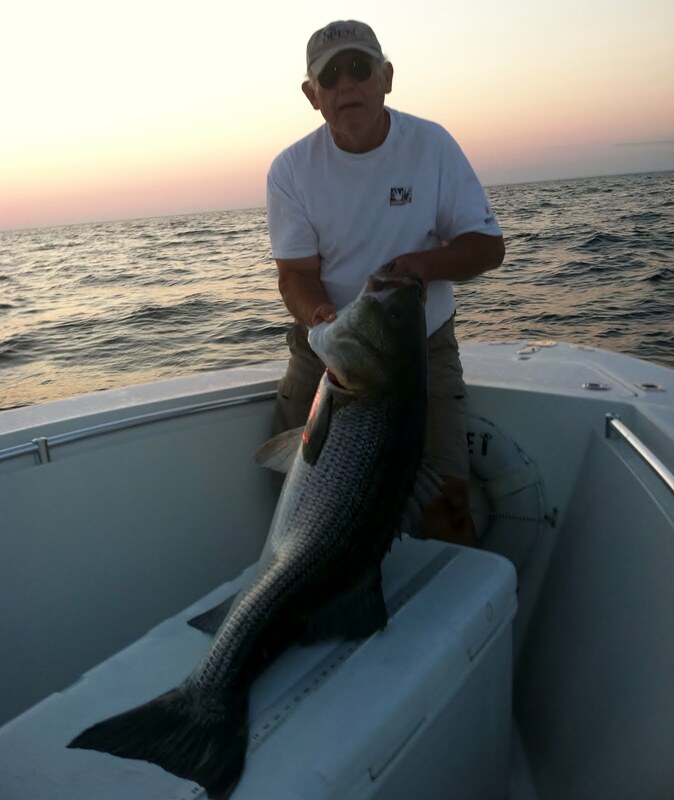 Alan Gammons, Sr. of East Greenwich, RI caught this monster striped bass while fishing Block Island at sunset last week. He was fishing with eels with his son Alan Gammons, Jr. (also of East Greenwich) on a friend’s boat. 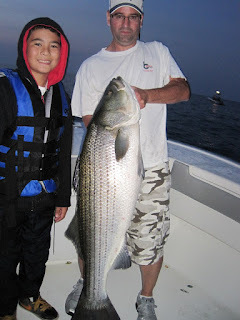 Nathan Bettencourt (10 years old) with his dad Kevin (both of East Providence, RI) with the 34 pound striped bass Nathan caught off Block Island with Capt. Billy Silvia of Can’t Imagine Charters (Bristol, RI). 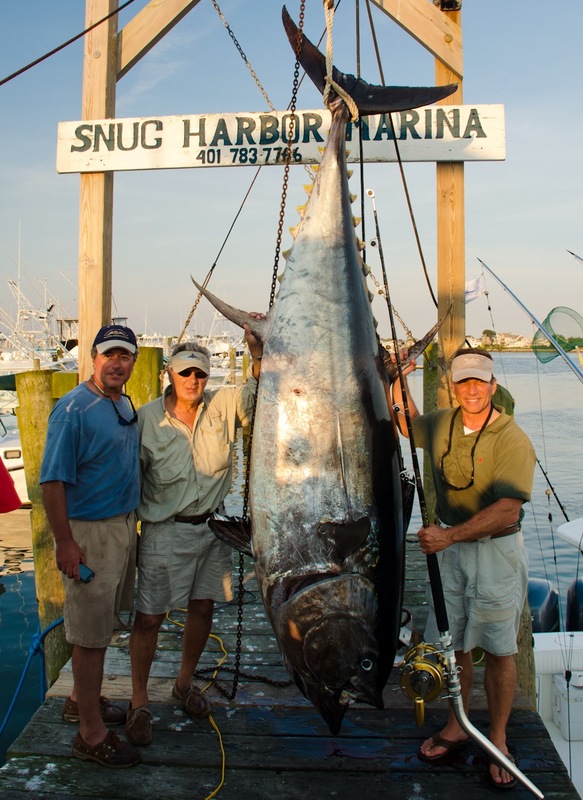 David Appolonia of South Kingstown, RI landed a 730 pound giant bluefin tuna last Thursday. He caught an 878 lb. 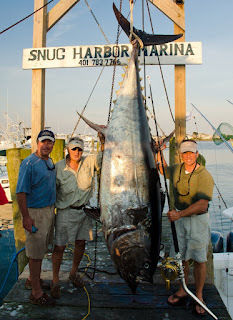 giant bluefin three years ago. Both fish were caught on his 26’ Regulator center console boat. This is remarkable as thousands of fishermen vie for this prized catch but few have ever taken even one home. And, very few giants have been caught in the Northeast this year. The sport requires extreme dedication… preparing gear in winter months, putting in hours, days and months of time on the water fishing, the heartache of countless break-offs… and a personal focus that few have. Never mind the cost… bait runs $400 to $500 per trip and fuel costs can run into the thousands per season or per trip depending on the type of vessel you have. Last winter, I had coffee with David at Brewed Awakenings in South County Commons. He said, “This year I am going for it… I have the boat, the vehicle to tow it if I have to (many anglers fish the Cape Cod waters) and I have my health.” Sport fishing for giants takes a lot of physical strength and stamina just to make it through the fishing day, which can be 20 hours or longer. Keep in mind that fighting a fish can take two to six hours to land. So, hats off to David Appolonia and the team that caught this fish. Once again, David set his mind to it and caught a giant bluefin tuna. Here are some specifics about the fish and the fight. In addition to David, there were two other crew team members on the boat, seasoned tuna fisherman Bill Catauro of Narragansett, RI and Mario Fernandes of Exeter, RI. Dave said, “The team takes credit for the fish as we switch off several times… at the helm and on the fish… The fish towed us for six miles, coming up and trying to circle the boat several times. We had everything we could do to keep the boat in position. Finally, after three hours, it came up and Bill Catauro was able to harpoon it. It carried the harpoon for another hour”. The fish was caught south of Block Island. It was a long fish measuring 115 inches. The Town of Narragansett, the Department of Environmental Management, and the Rhode Island Saltwater Anglers Association (RISAA) announced that registration is open for anglers who want to participate in the Galilee “Fishing for a Cause” Tournament on September 7, 8, and 9. The entry fee is $15 for adults and $5 for juniors (14 and under). Proceeds from the tournament will be donated to Hasbro Children’s Hospital, Narragansett Parks and Recreation Financial Aid Program, and the Johnnycake Center of Peacedale. The tournament will include a boat and shore division. 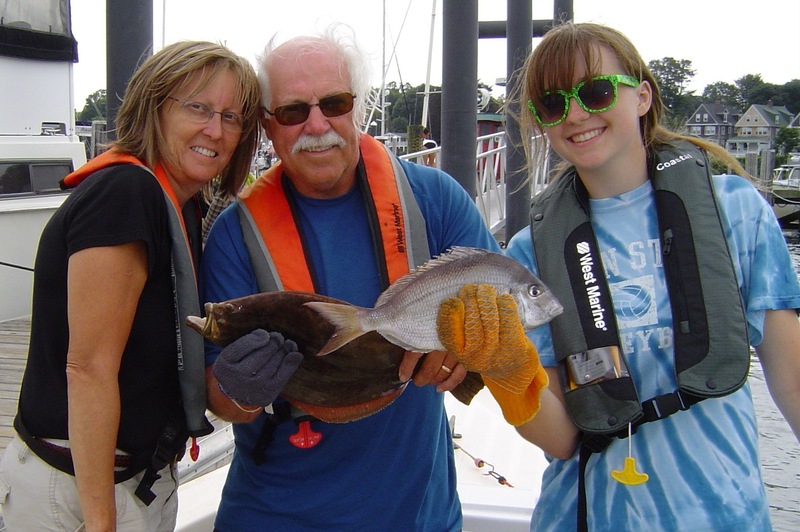 Species for ADULTS include bluefish, fluke and striped bass with prizes such as fishing charters, fishing tackle, Sea Tow memberships, golfing and other certificates donated by local businesses. Fish species for JUNIORS include bluefish, fluke, striped bass, black sea bass, scup and tautog with trophies for prizes. Registration is available at: Breachway Bait & Tackle, Bucko’s Tackle Service, Cardinal Bait & Tackle, Erickson’s Bait & Tackle, Frances Fleet, Galilee Bait & Tackle, Narragansett Parks & Recreation, Narragansett Town Hall, Pete’s Bait & Tackle, Quaker Lane Bait & Tackle, Quonny Bait & Tackle, RIDEM Coastal Resources Office, Sam’s Bait & Tackle, Snug Harbor Marina, The Tackle Box, Watch Hill Outfitters and Zeek’s Creek Bait Shop. The Galilee “Fishing for a Cause” Tournament and Seafood Festival aims to celebrate and promote Rhode Island’s recreational and commercial fishing industries. For more information about the tournament and festival, visit www.galileetourney.com or call RISAA at 401-826-2121. The Atlantic States Marine Fisheries Commission (Commission) and the Mid-Atlantic Fishery Management Council (Council) announced in a media statement the commercial quotas and recreational harvest limit recommendations for summer flounder, scup, black sea bass, and bluefish for the 2013 fishing season. The Commission’s actions are final and apply to state waters (0-3 miles from shore). The Council will forward its recommendations to NOAA's Northeast Regional Administrator for final approval. Summer flounder: the Commission approved and Council recommended a commercial quota of 11.44 million pounds and the recreational harvest limit of 7.63 million pounds for the 2013 fishing year, a decrease from 2012 levels due to the drop in the spawning stock biomass estimate. Scup: The Commission approved and Council recommended a 2013 commercial quota of 23.53 million pounds and a recreational harvest limit of 7.55 million pounds, a decrease of 3.97 and 0.76 million pounds respectively. Black sea bass: The Commission approved and Council recommended a commercial quota of 1.78 million pounds and 1.85 million pounds for the recreational fishery, slightly higher than the 2012 quota. Bluefish: The Commission approved and the Council recommended a commercial quota of 9.08 million pounds and 8.67 million pounds, respectively for 2013 and 2014. For all four species, the approved and recommended actions are consistent with the recommendations of the Scientific and Statistical Committee regarding acceptable biological catch, which is the level of total removals that cannot be exceeded based on the best available scientific information. For information about summer flounder, scup, or black sea bass, contact Toni Kerns, Acting ISFMP Director, at tkerns@asmfc.org for bluefish information contact Mike Waine, FMP Coordinator, at mwaine@asmfc.org. Tautog fishing is slow as not many anglers are targeting this species yet. Buoys like this one in front of the Mt. View section of North Kingstown, RI measure temperature, oxygen and salinity in Narragansett Bay. 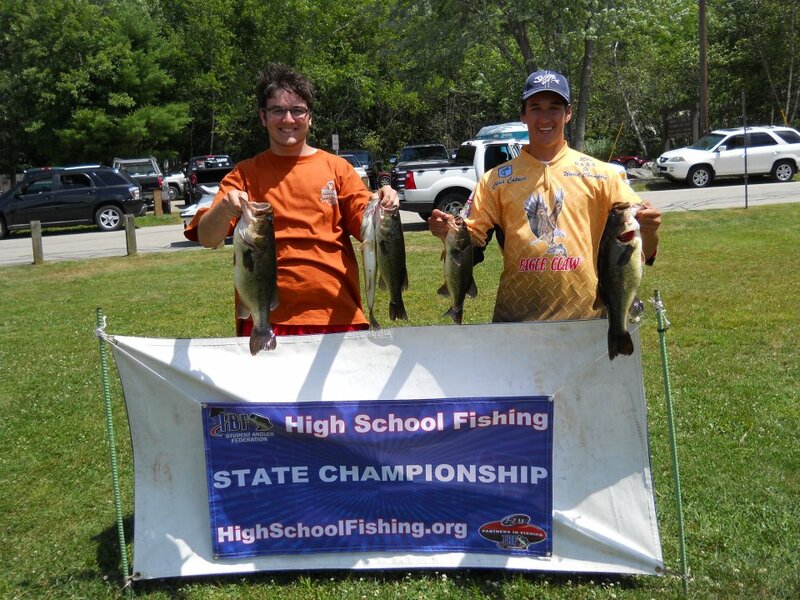 Pat Crabtree and Chris Catucci of Bishop Hendricken High School, Warwick are getting ready for the fresh water fishing High School Eastern Conference Championship in Virginia on September 15. Pat and Chris shown here as they finished first in the State of Rhode Island representing Bishop Hendricken with a largemouth bass five fish limit weight of 14.5 pounds. Brett Santo caught a 14 lb. 10 oz. fluke (summer flounder) off Block Island last week while fishing aboard the charter boat Maridee II captained by Andy Dangelo. The fluke was caught on a rig made by Mary Dangelo of Maridee Bait, Tackle and Canvass shop in Narragansett, RI. Narragansett Bay anglers say there are no fish in the Bay. Many believe it is warm water. They say “We don’t like the heat so why would the fish.” The water has been warm, in the mid-seventy degree range off ocean coastal shores and as high as the mid-eighties in Bay coves and harbors. If fish need 3 mg/L of oxygen, what levels are we experiencing ? The oxygen level in Western Greenwich Bay (Chepiwanoxet Point) was 1.6 mg/L and Greenwich Cove was at 1.3 mg/L. With a prevailing southwest summer wind in Narragansett Bay, Greenwich Bay (particularly Greenwich Cove), does not get flushed and low oxygen levels are more prominent there. We often see bait fish in these areas on the surface where oxygen levels are higher as oxygen in the air mixes with the water, and often predators such as blue fish ae chasing them, however, fish (particularly bottom fish) cannot live where oxygen levels are this low. As long as I can remember, fishing in the upper Bay has been good around Warwick Light and in areas around the East Passage. There is good reason. Water at Warwick Neck moves fast, tossing around bait and mixes oxygen well throughout the water column. The oxygen level in front of Warwick Light last week was close to 5 mg/l. Fishing in the East passage is often good too … at Ohio Ledge, Providence Point, Prudence Island and areas around Conimicut Point… bait fish and menhaden running up the East Passage shipping channel helps, but one has to wonder if the shipping channel that provides a path for bait also provides flushing, mixing and a better oxygen supply contributing to better fishing in these areas. For more information visit the NBEP website at www.nbep.org and an associated blog at http://nbep.wordpress.com/ or http://www.geo.brown.edu/georesearch/insomniacs/index.html for the dissolved oxygen (DO) website (called Insomniacs) which has oxygen level maps of various Bay areas. For weekly assessments and reports on water temperature and conditions visit www.dem.ri.gov/bart . Thank you and congratulations to DEM, URI, Brown University and the Narragansett Bay Estuary Program for doing such a good job monitoring water quality in Rhode Island. The Rhode Island Saltwater Anglers Association (RISAA) will hold a seminar Monday, August 27, 7:00 p.m. at the West Valley Inn, 4 Blossom Street, West Warwick, RI. Learn about salmon fishing in upstate New York with Don Smith. Don is a famous local striper angler who also has been fishing the Salmon River for 25 years. 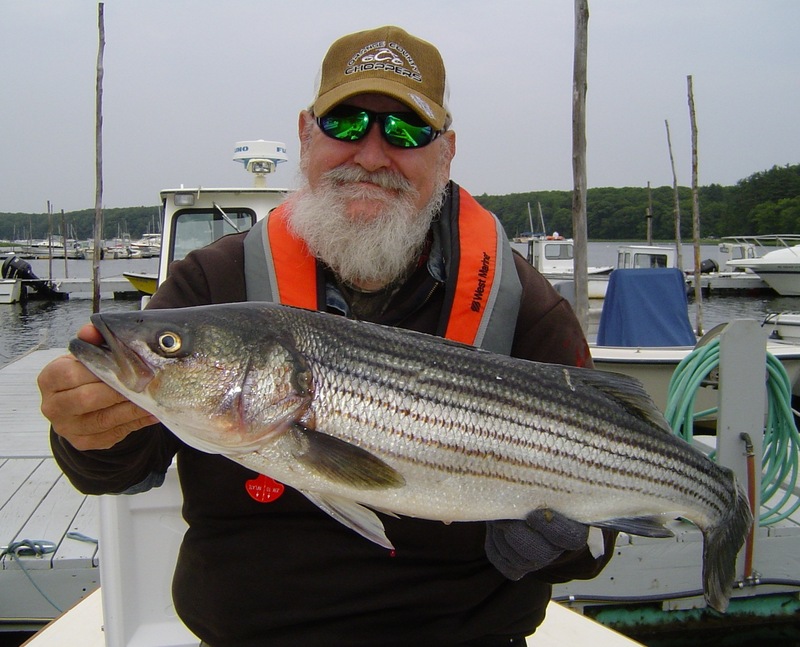 Another topic will be fishing for striped bass in Narragansett Bay with Greg Vespe. Greg has logged 350 night trips on Narragansett Bay. 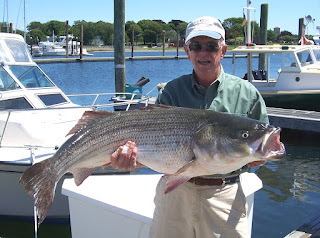 He finished 16th out of 1,500 anglers in the 2009 Striper Cup Angler of Year. $10 donation for non-members, RISAA members free. Fluke (summer flounder). The fluke fishing has been fair offshore. Some days are good, other days are not good depending on alignment of tide and wind and the appetite of the fish. Angler Mike Swain of North Kingstown said, “We fished under the Newport Bridge Monday and caught three nice keepers to seven pounds and one nice black sea bass.” Kevin Brothers said he fished, “Friday from Elbow Reef, mouth of Sakonnet, to various spots outside Brenton reef at 60-70 foot depths with a slow bite of mostly short sea bass & fluke (only a couple keepers of each).” I fished the same area Monday and had a similar experience. Striped bass fishing at Block Island has been mixed. I fished Tuesday with Eric Appolonia and his son Alex of North Kingstown on the southwest side and had mixed results. The bluefish were thick, catching them every time we put out a tube and worm in the water. We caught a nice black sea bass working an eel off the bottom and one nice striped bass on amber colored tube and worm (300 feet of wire line out in 35 to 45 feet of water). Eels still seem to be the bait of choice at night or early morning with tube and worm working in the day. Scup fishing is still good too. With large and small fish being caught throughout the Bay. Ed Nobolowski of Great Barrington, Massachusetts caught this 58 pound striped bass on the southwest side of Block Island last week as his family looked on aboard Maridee II Charters out of Point Judith, RI. Jen, Dave and Riley Eike from Rochester, NY enjoyed a day of charter fishing Sunday under the Newport Bridge landing fluke (summer flounder), scup and black sea bass. “Although the September 7th to 9th event will feature the best of seafood and other treats, there will be 40 booths available for other types of vendors.”, said Steve Medeiros, president of the Rhode Island Saltwater Anglers Association (RISAA) and one of the event organizers. Mr. Medeiros said the event is expected to draw families to the food and entertainment, recreational anglers as well as tourists visiting Galilee. The theme of the Festival is “Fishing for a cause” and will be held at the Port of Galilee in Narragansett, RI. Striped bass, summer flounder (fluke) and blue fish are part of the Tournament which is sponsored by the RI Department of Environmental Management, Rhode Island Saltwater Anglers Association and the Narragansett Parks & Recreation Department. All proceeds from the Tournament and Festival will be donated to Hasbro Children’s Hospital, the Johnnycake Center Food Bank and the Narragansett Parks & Recreation financial aid program. For more information about the fishing tournament, festival and vendor information visit www.galileetourney.com . If you are a tautog fisherman you likely know that the second season started August 1 and will run until October 19 with a three fish/per person/per day limit. The third phase of the season will run from October 20 to December 15 with a six fish/ per person/day limit. A maximum of ten fish per vessel is in effect for all periods (does not apply to charter and party boats). Last week the Bureau of Ocean Energy Management (BOEM) announced the determination of no competitive interest for the construction of a transmission system between the Rhode Island coastline and Block Island. The determination of no competitive interest is another important step in evaluating the transmission project proposed by Deepwater Wind that would deliver electrical power from its proposed 30 megawatt Block Island Wind Farm in state waters. BOEM received an application from Deepwater Wind requesting a right-of-way grant for an eight nautical mile-long, 200-foot wide corridor in federal waters on the Outer Continental Shelf (OCS) to connect their proposed offshore wind farm, located in Rhode Island state waters approximately 2.5 nautical miles southeast of Block Island, to the Rhode Island mainland. The proposed offshore transmission connection would also transmit power from the existing onshore transmission grid to Block Island. Deepwater Wind estimates the proposed wind farm will generate over 100,000 megawatt hours annually, supplying the majority of Block Island’s electricity needs. Visit BOEM’s web site at www.boem.gov for more information. Fishing in Narragansett Bay is slow with many anglers claiming that warm water is the cause of the slow bite. Hope to explore this with a few scientists as the possible cause of a slow bite in the next couple of weeks. Fluke (summer flounder) fishing has slowed with wind and tide in line being a must to catch fish. “The fluke fishing has been finicky… they may turn on for a while and then shut right down. 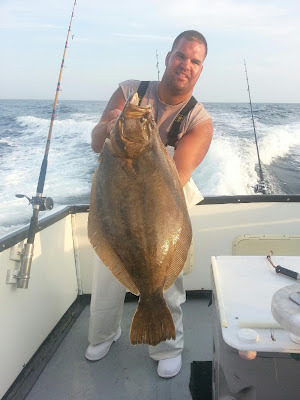 Maybe it is the warm water, fluke are just not behaving as they usually do.”, said Al Conti of Snug Harbor Marina. I fished for fluke under the Newport Bridge Sunday. The fish turned on for a few minutes, we landed three fish and then it was slim pickings for the rest of the day. Sea bass/Scup. Sea bass fishing is good with nice sized fish being taken off Newport and Pt. Judith and other rocky bottom areas. Scup fishing is still good all around the Bay. Riley Eike of Rochester, New York landed a 14 inch scup Sunday under the Newport Bridge. Reports of scup in the 18” range have been common this summer. Offshore. The vessel Nighthawk run by Mike Harrington caught 29 yellow fin tuna in the 50 to 80 pound range at the Oceanographer Canyon (located on the southern flank of George’s Bank) last week, said Al Conti of Snug Harbor Marina. There are plenty off mahi-mahi at the Mud hole as well as cod fish at Cox’s Ledge with dog fish mixed in. George Allen with a striped bass he caught when trolling over the humps and bumps off Newport, RI. George caught the bass with Monel wire line with tube and worm in about 35 feet of water. Captain Dave Monti celebrated his 60th Birthday with a party Saturday at Easton’s Beach Rotunda. 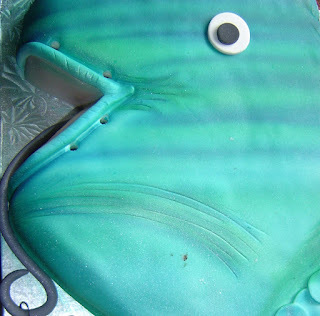 This striped bass cake (complete with hook in mouth) baked by Wrights Dairy Farm, North Smithfield was enjoyed by a hundred friends and family members. Angler George Allen of Portsmouth, RI gave a presentation last week on trolling with wire for striped bass off Newport at the Rhode Island Saltwater Anglers Association (RISAA) monthly seminar. About 200 people attended the event that was held at the West Valley Inn, West Warwick, RI. Paul Perra the Northeast Recreational Fisheries Coordinator for the National Marine Fisheries Service in Gloucester MA was also a speaker. George Allen is a vice president and member of the RISAA board of directors. He is a retired Commander of the Unites States Navy and keeps his boat at the Newport Navel Base Marina. George has in-depth knowledge of the waters around Newport where he fishes regularly for striped bass. The method he uses most often is trolling with wire using rubber tubes tipped with clam worms as his bait of choice. “I make my own tubes and dye them red and orange. The idea is to get your bait low just off the bottom when trolling over structure.” said Allen. He fishes the humps and bumps off Newport that are in 35 to 45 feet of water from Brenton Point to Sachuest Point. George pays particular attention to the tide. Normally, he likes to fish when the water is moving at its fastest rate which is generally 1 to 1 ½ hours before low or high tide. “One would think the tide moves fastest between high and low. That is not the case. So I consult the Tide Log for the tide sequence… and fish at maximum ebb and maximum flood currents.” Bait in the water moves at its fastest rate when the water is moving at its fastest rate, so more bait is presented to bass on the bottom. The fish sense this and feed as it is the easiest time for them to catch food (bait). Here are some tips for fishing for bass off Newport from George Allen. These methods have yielded bass to 42 pounds from mid June to the mid August. Get your bait low, just off the bottom if possible, if trolling in 35 feet of water on a ledge I generally have about 250 feet of wire out. Recreational anglers have been commenting on fishing blogs about the high number of commercial vessels fishing close to costal shores and in Narragansett Bay compared to past years. Temperature changes (abnormally warm water this year) have fish behaving differently. Warm water brings warm water fish closer to shore and drives away cold water fish. So if you see an abnormally greater number of commercial fishing vessels closer to shore than usual, it is likely that this is where the fish are. Our fish resources are for everyone. So both commercial fishermen and recreational anglers need to be respectful of each other and recognize that the resource is for all of us. Fresh water fishing has been good. Mike Gill of Quaker Lane Outfitters, North Kingstown, RI said fishing for largemouth bass at Indian Lake and Worden Pond with top water frogs and sink worms is very good. The water level on the Wood River is low, however, trout fishing is still pretty good as they are holding in deeper holes. Scup fishing continues to be good for anglers in a number of places… Mt. Hope Bridge, Warren River, Colt State Park, Ohio Ledge and many other places. Caption Chuck Daignault, with a striped bass he caught early this year, enjoys fin fishing and shell fishing even though his legs give him trouble. He plans his trips carefully and takes it slow as he follows his passion for fishing. I have a new friend and his name is Captain Chuck Daignault who lives in Rhode Island. He was a charter captain in upstate New York where he took people salmon fishing. He had some trouble with his legs and had to give up chartering… but not fishing. So last year, he asked if I would take him fishing, and boy, am glad I did. We have fished together three times and each time, I learn a great deal about fishing and about how to run a charter business. Captain Chuck entertains with stories of fishing trips, past customers and how he feels about taking people fishing. With Captain Chuck, it was all about the people: taking care of his customers, sending them photos of their fishing trips and even checking in with them from time to time. I like Captain Chuck’s style. Even though his legs no longer hold him up the way they used to, he continues to pursue his passion for fishing. He has found a way to get it done… to fish with a rod and reel, and to shellfish on Narragansett Bay. To me, it says a lot about a man’s character, a stick-to-itiveness not often found. He lives a full life, still focusing on the important things like good friends old and new and a passion for fishing. Good luck Captain Chuck, may you fish forever. On August 11 and 12 from 10:00 a.m. to 5:00 p.m., the ART drive returns for its 5th annual exhibit with 28 Dartmouth and Westport artists hosting an open studio weekend. Here is a unique twist; this year participating artists are applying their own unique styles to create large, colorful depictions of Yellow Fin Tuna. Last year’s exhibit featured Striped Bass. Also, in public spaces, in store fronts, shops, businesses and other sites in Dartmouth and Westport--will be 42, four-foot-long Yellow Fin Tuna. While the “Fins” will be on display Saturday, July 30 through Friday, August, August 12, 2011 they will be viewed at the artists’ studios over the Art drive weekend. Information on the artists, locations and a map are listed at www.the-art-drive.com . The Department of Environmental Management (DEM) announced this week that proposals are being accepted until Friday, August 31 for boating infrastructure grants for facilities and associated infrastructure that provide stop-over/tie-up opportunities for transient recreational boats. The federal grants, which provide a 75 percent reimbursable match up to $1.5 million, are for the development or renovation of such facilities as mooring buoys, day docks, navigational aids, transient slips, safe harbors, floating docks and fixed piers, floating and fixed breakwaters, dinghy docks, restrooms and showers, retaining walls, and bulkheads. They can also be used for dockside utilities, pump-out stations, recycling and trash receptacles, electric service, dockside water supplies, dockside pay telephones, debris deflection booms, marine fueling stations, and one-time dredging not to exceed 10 percent of the total project costs, including the match. Any municipality or marina interested in submitting an application should contact Veronica Masson, federal aid coordinator, Division of Fish & Wildlife, at 401-789-0281. Proposals must be submitted to Veronica.Masson@dem.ri.gov by August 31. Scup fishing continues to be strong all over the Bay with large fish being taken in the Jamestown area, Colt State Park, off Rocky Point and at Ohio Ledge. Angler Joe Fournier with a large black seabass he caught under the Newport Bridge. William and Dylan Press of Boston, MA caught 33 and 30pound bass using eels on the Southwest Ledge early Saturday morning whenfishing with Captain Sheriff’s Fishing Charters. The Division of Marine Fisheries of the Massachusetts Department of Environmental Protection (DEP) recently announced it has received reports of skin lesions on striped bass. The general condition reported has been red spotting visible along the sides of the fish. Lesions such as these can be indicative of the presence of the disease Mycobacteriosis, which is common in southern waters, especially Chesapeake Bay. The information available at this time indicates a slightly elevated occurrence of skin lesions on striped bass in Massachusetts, likely of viral or bacterial origin, but not clearly associated with the disease organism Mycobacterium, said the Massachusetts Division of Marine Fisheries in a statement last week. The Massachusetts Marine Fisheries staff has been collecting information from anglers on the prevalence and geographic distribution of the skin lesions. At present the prevalence appears to be low (<5%) coast wide but higher in fish from southern Massachusetts, primarily Buzzards Bay and the Cape Cod Canal. Internal and external examination of afflicted fish has not indicated that these lesions are associated with Mycobacteriosis. The examination of several dozen randomly collected striped bass showed no signs of abnormalities in their spleens, the hallmark indicator of the disease. Lesions on the skin of striped bass are a relatively common occurrence and have many causative agents. 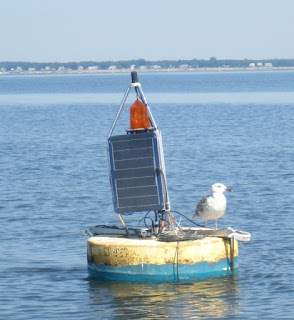 The elevated prevalence seen in some areas this year may be the result of anomalously high spring and summer water temperatures seen in Massachusetts and more southerly waters. 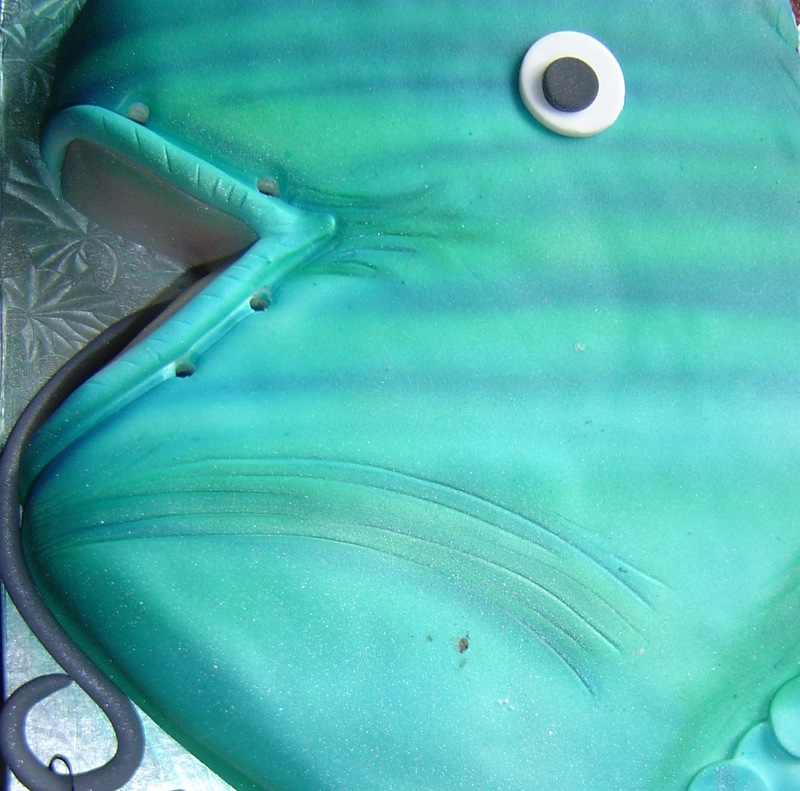 Fish with mild skin lesions are safe to handle and consume. Last week Rhode Island DEM's Marine Fisheries Division requested that Rhode Island Saltwater Anglers Association (RISAA) members who may see striped bass with skin lesions to report it to them. "We have seen a few," said Mark Gibson, Deputy Chief, Division of Fish and Wildlife. "We encourage RISAA members to report observations to us so we can cooperate with Massachusetts on the investigation." "We have a member who is going though painful treatment now," said RISAA president Steve Medeiros. "It’s believed he obtained the infection though a cut on his hand and then absorbed the bacteria from either a striped bass or the salt water." In past No Fluke columns on mycobacteriosis (visit www.noflukefishing.blogspot.com, search mycobacteriosis), it was reported that striped bass were starving as they wintered in the Chesapeake Bay because of a reduced supply of Atlantic Menhaden (their primary food) due to commercial over fishing. Lack of food has been substantiated by tag-recapture data studies from spring spawning grounds in Maryland and Virginia. Fish captured in autumn are the same size as fish that are starved in a lab for two months. The study found malnutrition makes the population vulnerable to mycobacteriosis. The disease causes loss of scales, skin ulcers, severe weight loss and lesions in striped bass. The Galilee Fishing Tournament & Seafood Festival with the theme of “Fishing for a cause” will be held September 7 – 9, 2012 at the Port of Galilee in Narragansett, RI. The tournament is planned as a family friendly event with a low entry fee and lots of prices in 35 different categories. A variety of species are included in the tournament… striped bass, summer flounder (fluke) and blue fish for the adult division with these species plus scup, black sea bass and tautog for the junior division. Fishing can take place anywhere but all weigh-ins must be done in Galilee. Prizes for both adult and junior divisions will be high value fishing prizes such as charters, show tickets, quality fishing tackle and much more. The Tournament is sponsored by the RI Department of Environmental Management, Rhode Island Saltwater Anglers Association and the Narragansett Parks & Recreation Department. All proceeds from the Tournament and Festival will be donated to Hasbro Children’s Hospital, the Johnnycake Center Food Bank and the Narragansett Parks & Recreation financial aid program. For more information about the fishing tournament and festival visit www.galileetourney.com . 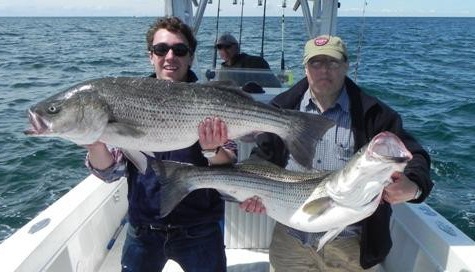 Striped bass fishing on Block Island is still hot. William and Dylan Press of Boston, MA caught 33 and 30 pound bass using eels on the Southwest Ledge early Saturday morning when fishing with Captain Sheriff’s Fishing Charters. Elisa Martin of Snug Harbor Marina, South Kingstown said, “The Southwest Ledge has a good bass bite with eels at night. Tube and worm is working during the day. And, the North Rip is consistently producing fish, but they are smaller.” John Wunner of Archie’s Bait & Tackle, East Providence said, “The bass bight has slowed in the Providence River, however, anglers are catching school bass in the 20 to 22” inch range.” Captain Billy Silvia of Can’t Imagine Charters, Bristol, RI caught bass this week at Brenton Reef (can #2) and Sandy Point, Prudence Island said Dave Henault of Ocean State Tackle, Providence. Fluke fishing was mixed this week as anglers had a difficult time with wind and tide being in line. When drifts were good anglers caught fish. John Wunner of John’s Bait & Tackle, North Kingstown said, “You could almost draw a line as to where customers are catching fluke… from out if front of southern coastal beaches, to Beavertail, Brenton Reef, to in front of the Sakonnet River. But, activity in the upper and lower Bay is slow.” Reports of a good number of fluke, but mostly shorts, being caught off Warwick Neck light. Squeteague are still being caught in the Bay. 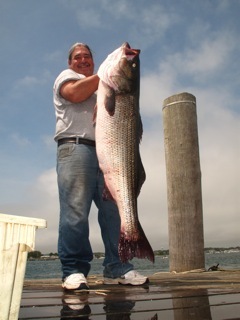 John Wunner of Archie’s Bait said one of his customers caught a squeteague when fishing off Hanes Park, East Providence. John Littlefield said one of his customers’ caught a 4 pound squeteague in the upper Bay near Ohio Ledge. Bluefish continue to be thick around Block Island with small blue fish in the 1.5 pound range being caught in the Providence River said John Wunner. Skipjacks are starting to appear in coves and harbors said Wunner. Scup fishing remains strong with fish in the 16” to 18” being caught all over the Bay… Colt State Park, Ohio Ledge even up the Barrington Rive said John Littlefield. 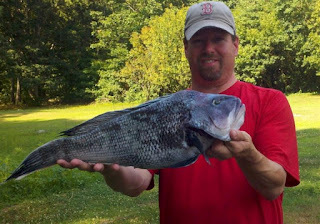 Black sea bass fishing if good with fish in the 6 and 7 pound range as anglers catch them when they are fluke fishing. Offshore. The charter boat Lady K had three school blue fin school tuna to 30 pounds this weekend when fishing the Mud Hole said Elisa Martin of Snug Harbor Marina.